Click here for a full list of the Vilas to Rent in Ibiza with VilasInIbiza.com. Villas in Ibiza are an established, family run business specializing in vacation property for overseas visitors. Are you looking for Vilas to Rent in Ibiza? If so you have come to the right place! 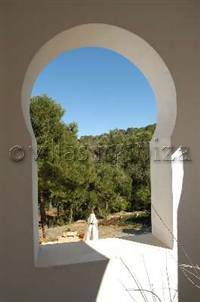 We have over 70 Vilas with affordable rent all situated in the beautiful island of Ibiza. We can cater for large Vilas with 10 bedrooms that sleep 20 people through to modest Vilas with 2 bedrooms. Our rents vary throughout the season and a discount in rent can be given for Vilas that are rented for an extended period of time. Like most Vilas on the island of Ibiza the rent varies seasonally, with Summer being the most expensive time to stay. The price of our rent can be from as little as 1,200 Euros per week, per Vila, through to rents in excess of 22,000 Euros. We work hard to ensure that our rents are amongst the most competitive for Vilas in Ibiza, whilst ensuring that the quality of the Vilas we provide is exceptional. Ibiza has an amazing selection of Vilas, catering for varied needs, whether you need to rent a Vila close to the clubs in San Antonio, or prefer the sophistication of the Vilas for rent near Ibiza Town, or you just prefer to get away from it all and rent a Vila in quiet seclusion around Ibiza's outstanding areas of beauty and stunning beaches - we can help. If you are unsure of the areas in Ibiza an want to make sure that the Vila you rent in Ibiza will suit your tastes please give us a call on 0034 971 332 777, or check our rental Vilas listings where each property has a section dedicated to describing it's surroundings and the activities that can be found there. Click here for a full list of the Vilas to Rent in Ibiza with VillasInIbiza.com.